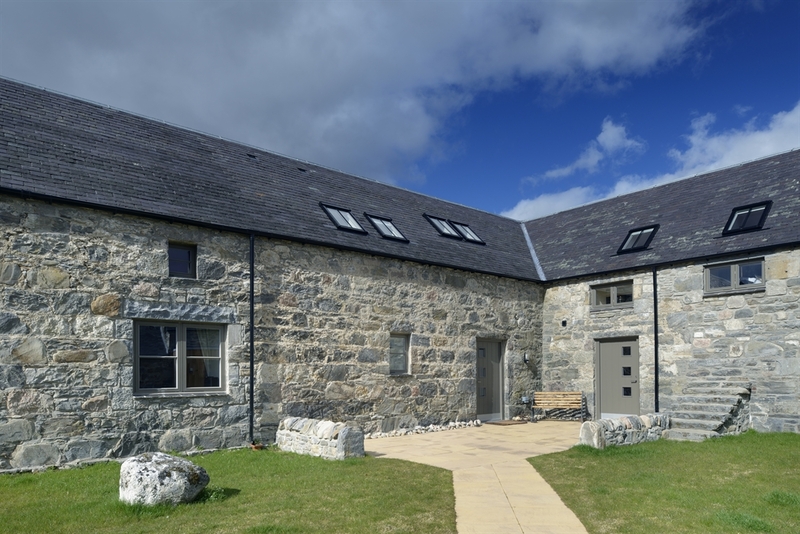 Osprey Lodge, Kingussie is a traditional stone built property recently developed out of a 200 year old coach house and stables to create a luxury interior with a double height sitting area featuring a large westerly facing window that opens onto the patio. You can enjoy the stunning views both from inside and outside. The hot tub is the perfect place to take it all in or even just enjoy the stars. The lodge is surrounded by rivers, wetland, the Cairngorm mountains and a vast array of wildlife. From your doorstep you can immediately access beautiful walking paths through the RSPB reserve as well as excellent mountain biking and cycling routes together with Munro bagging, climbing and skiing on the Cairngorms. Generously proportioned on two floors with an entrance hall, kingsize bedroom+ensuite toilet/shower, main bathroom and open plan living space and kitchen downstairs. Upstairs there is a kingsize bedroom+ensuite toilet/shower, another kingsize bedroom with the option for twin beds or a super kingsize bed and a large mezzanine landing that has two single beds. The open plan living space comprises kitchen, dining and sitting areas with comfortable sofas and chairs around a wood burning stove with fantastic views of the Monodhliath mountains. The dining area has a 6 seater table that can extend to seat 8. The kitchen has a 5 ring induction hob, built-in microwave and oven, washing machine/dryer and a fridge freezer. There is a fenced garden for play as well as a spacious outdoor patio with a hot tub and bbq grill. The lodge has bespoke wood furniture and Anta & Bute Scottish tweed fabrics in natural highland colours. Soothing lighting completes the look. Internet, digital radio and Sky TV (Sports & Movies) are included.